This is the eleventh book in our Mystics of the East series. The main object of this series is to bring out the similarity of the teachings of all saints. This is despite the fact that they were born in different periods, belonged to different races and were brought up in different periods, belonged to different races and were brought up in different cultures. This is so, because the core of religions or mystic experience is the same. All saints proclaim that there is one ultimate Reality, and to realize it, an identical method is to be employed. Their presentation may be couched in a different language and in a different idiom, depending on the ethos of the people, but the truth remains the same. 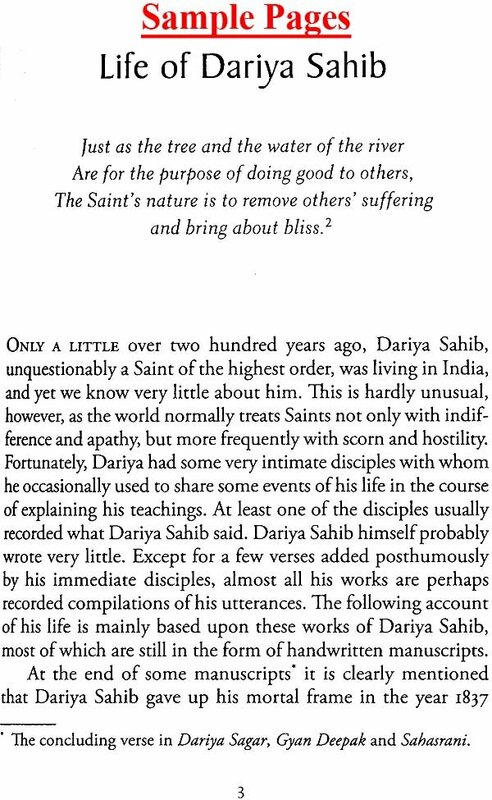 There have been two saints by the name of Dariya Sahib- one of Bihar who is the subject of the present work and the other from Marwar (Rajasthan). Both the saints were contemporary for some time. It is generally believed that Dariya Sahib of Bihar lived from 1674 A.D. to 1780 A.D., and Dariya Sahib of Rajasthan from 1676 A.D. to 1758 A.D. However, there is no record of their having ever met each other. Dariya Sahib of Bihar was born at Dharkandha in Bihar. Dr. K.N. Upadhyaya, the author of this book, besides being a distinguished scholar of Philosophy, Sanskrit and Hindi, also comes from Bihar, and is fully conversant with the language, traditions and lore connected with this popular saint. 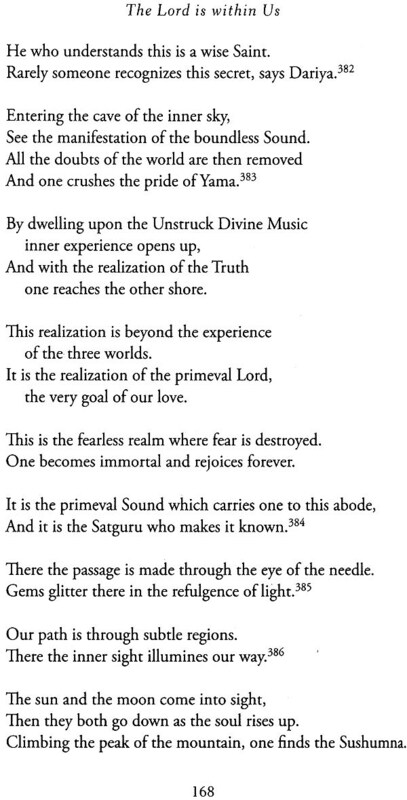 We are grateful to Dr. Upadhyaya for his painstaking research to bring out clearly the mystic of the saint's poems. We also thank Prof. J.R. Puri and Mr. V.K. Sethi for going through the manuscript and offering some valuable suggestions for its improvement. Last, but not least we are beholden to Miss Louise Hilger for the meticulous care with which she has prepared the press copy of this book. 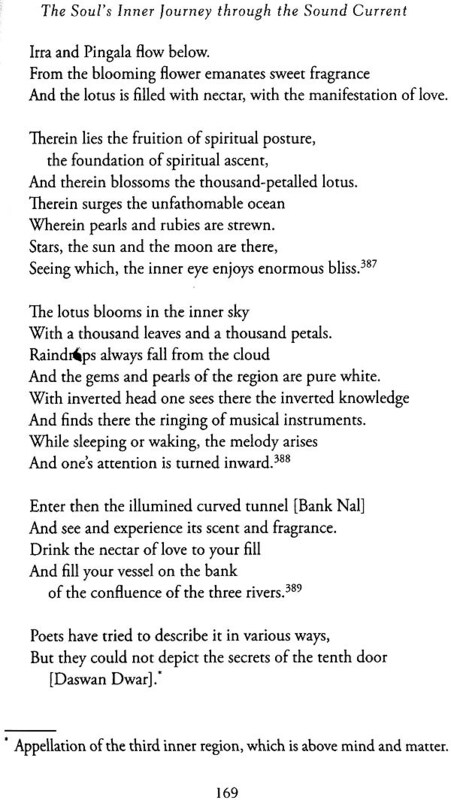 to the ocean of Bliss. Then will people know my secrets through you. 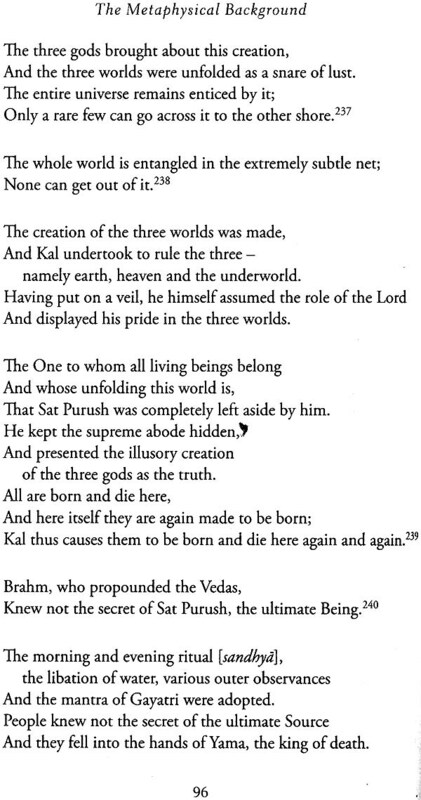 With these words, according to Dariya, Sat Purush sent His son to the world. The merciful Lord has been sending His son again and again to this world since time immemorial on the mission of mercy to save the souls from the clutches of Kal and to bring them back to their original blissful Home. But not only does this blinded world disregard and ignore these Saviors, it also insults, ridicules and harasses them. Such was the treatment meted out to Dariya, a saint of the highest order, as is evident from the first section-Life-of the book. Even today, after over two hundred years since his death, he is little known in his own district or state, let alone the rest of the country and the world. But his teaching, free as it is from religious dogmas and prejudices, sectarian superstitions and narrowness has a universal appeal and is meant for the sincere seekers and devotees in the entire world. So far, however, nothing about Dariya's life and teaching is available in English print except for a brief mention of him by Francis Buchanan in his Shahabad Report and a short article entitled "The Tailor Saint of Bihar" by B.B.Mazumdar, published in a local daily English newspaper, "Searchlight", on September 11,1935. To my knowledge, the only other short reference in English to Dariya is found in the work of P.D. 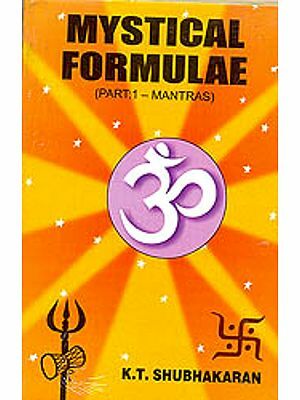 Barthwal entitled Traditions of Indian Mysticism Based upon Nirguna School of Hindi Poetry which contains scanty information. For the first time, a serious attempt to research the philosophy and literature of Dariya was made by Dharmendra Brahmachari Shastri who prepared his Ph.D. thesis on the basis of Dariya's works. This thesis was translated into Hindi and was published by Bihar Rashtrabhasha Parishad in 1954 as the first volume of Dariya's work entitled, Dariya Granthavali, Vol.I. Later, six books of Dariya were compiled by Dr. Shastri and published by Rashtrabhasha Parishad in 1962 as the second volume of Dr. Shastri's work on Dariya, entitled Dariya Granthavali, Vol. II. This contains Dariya's following six books: 1. 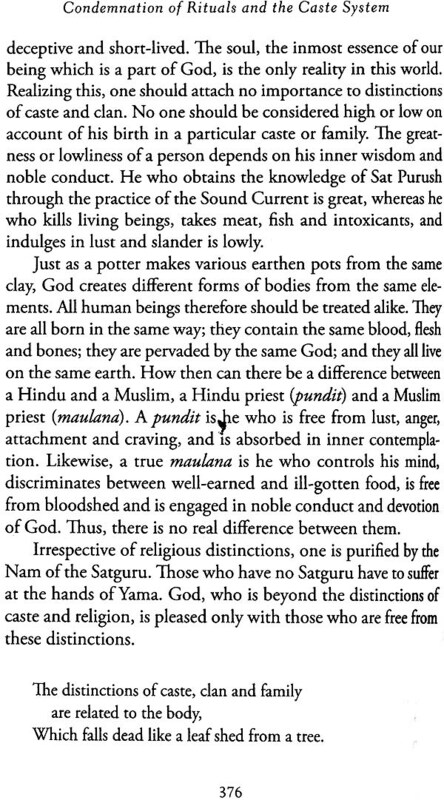 Dariya Sagar, 2. Gyan Ratan, 3. Gyan Sarodai, 4. Bhakti Hetu, 5. Brahm Vivek and 6. Gyan Mul. According to the preface of the second volume of this book written by the then Director of the Parishad, Bhuvaneshwar Nath Mishra, "Madhava," there was a plan to publish the remaining books of Dariya by the Parishad. But before that plan could be implemented, Dr. Madhava as well as Dr. Shastri died. Successors of Dr. Madhava have not considered it worth while to pay attention to this valuable project. Since all the original manuscripts of Dariya (except the one which is in Persian language) before they can be published. Some of the unpublished works were already rewritten in Devanagari under the supervision of Dr. Shastri and were almost ready to go to press. But the entire project fell through after Dr. Madhava's death, and some of these valuable manuscripts are now becoming food for bookworms. I encountered considerable difficulties in obtaining Xerox copies of the manuscripts already rewritten in Devanagari script and in getting the manuscripts in Kaithi rewritten into Devanagari. But I am thankful to the Bihar Rashtrabhasha Parishad that they finally allowed me to use these manuscripts. 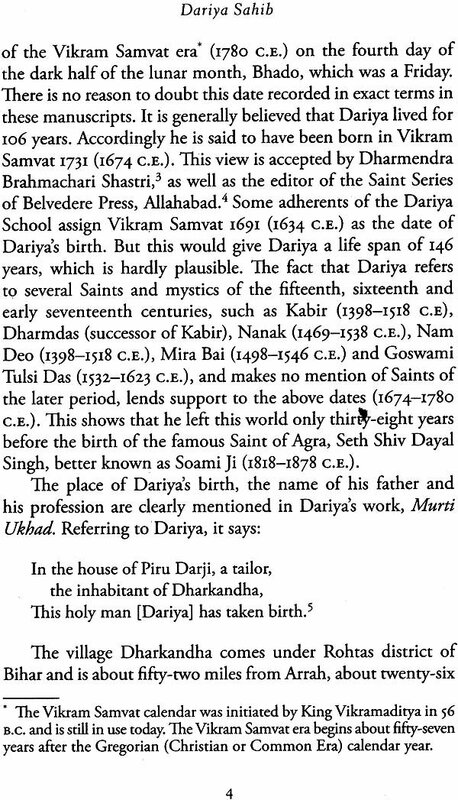 I wish the Bihar Rashtrabhasha Parishad or the authorities of Dharkandha Math would deem it fit to publish these extremely valuable manuscripts of Dariya Sahib. 1.Agra Gyan, 2. Amar Sar, 3. 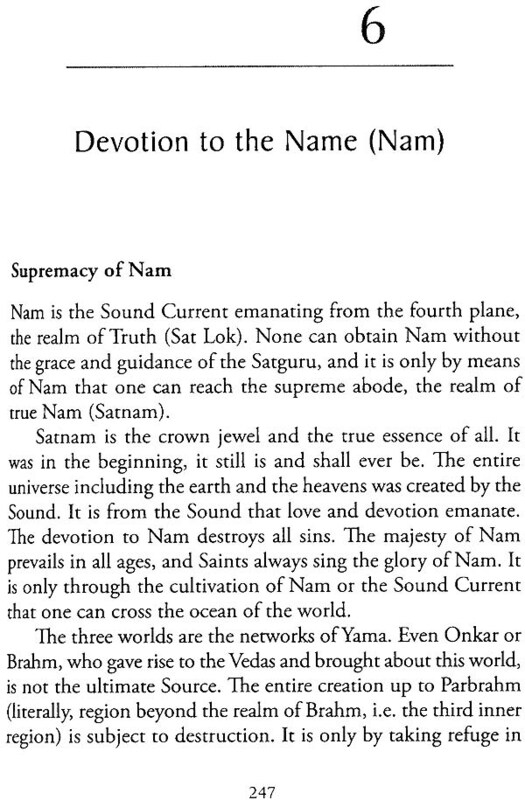 Bhakti Hetu, 4. 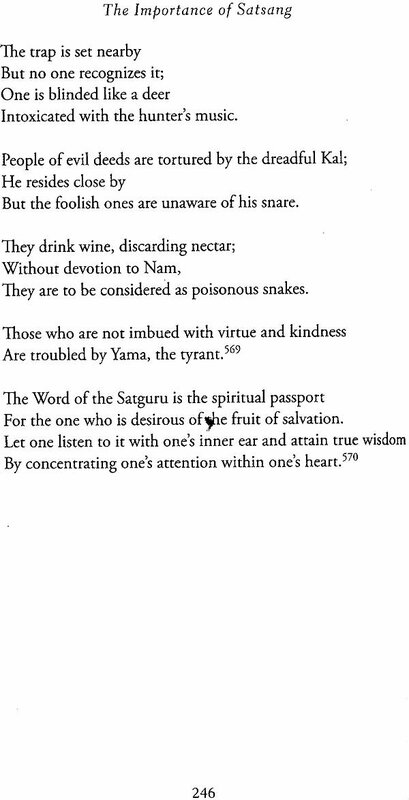 Brahm Chaitanya (in Sanskrit), 5. Brahm Vivek, 6. Dariyanama (in Persian), 7. Dariya Sagar, 8. Ganesh Goshthi, 9. Gyan Deepak, 10. Gyan Mul, 11. Gyan Ratan, 12. Gyan Sarbodai, 13. Murti Ukhad, 14. 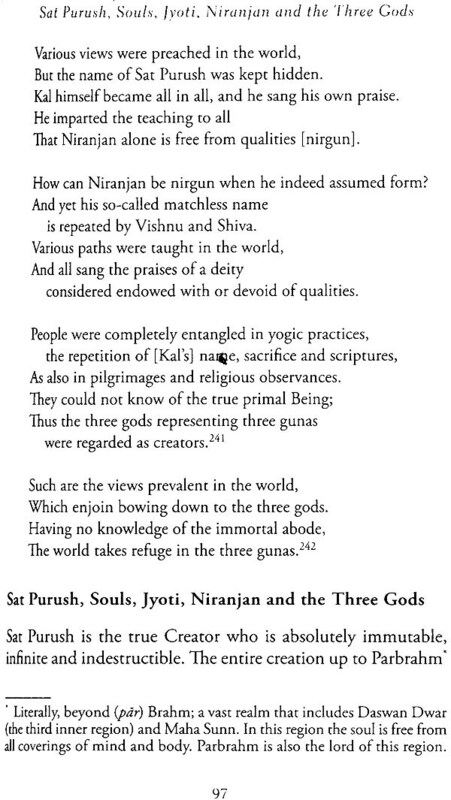 Nirbhai Gyan, 15. 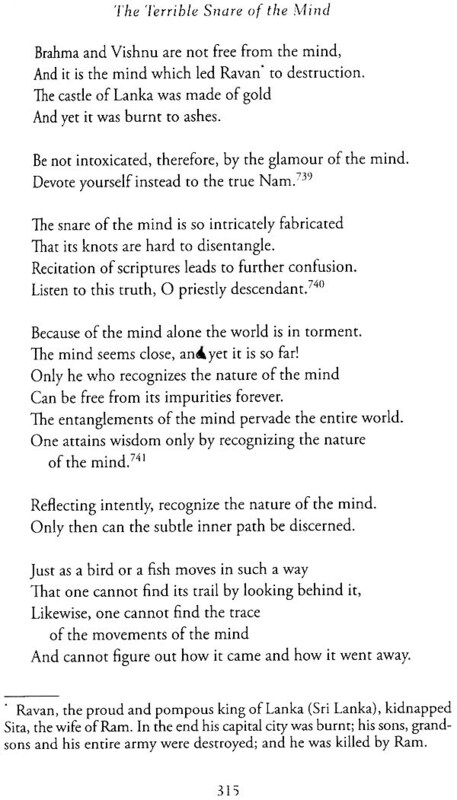 Prem Mul, 16. Shabd, 17. Sahasrani, 18. Vivek Sagar and 19.Yagya Samadhi. The book Dariya Sagar and a short collection of poems from different works of Dariya entitled Dariya Sahib Ke Chune Hue Shabd, which were published by Belvedere Press, Allahabad, were also used by me. The book Gyan Deepak, which was published by Sadhu Chaturi Das in 1936 for distribution among the adherents of Dariya School, was not available. But since I had already obtained this work in the manuscript form, its unavailability in book form did not matter much. The above books and manuscripts provided sufficient material for the presentation of Dariya's teaching, in a clear and systematic way. The brief summary of Dariya's teaching as given in the second section-Teachings-of this book, and more detailed account of its under Part II: "Selected Poems", clearly show that Dariya was an accomplished saint and a fearless Master. He speaks of the fourth Region as the abode of the Merciful Lord and the original Home of the souls which is beyond the tree worlds where Kal cannot reach. This highest Region is referred to by Dariya as Sat Lok (the True Region) or Chhap Lok (the Hidden Region) as against the false and illusory world of Kal. Like Kabir, Dariya also uses the term Akah (unspeakable) for the highest Region, which is the abode of Anami Purhs according to Kabir and other saints. Dariya calls this Lord Bebaha (lit., of utmost value). Dariya, on the one hand, sings the glory and praise of the Supreme Lord with utmost love and humility, and on the other hand, criticizes the religious dogmas and rituals in the most bitter and sarcastic terms. His entire work is replete with the praise of the Satguru, Shabd, Sat Purush or Sat Nam and condemnation of rituals. In order to instill the basic truths of spirituality in our minds, Dariya speaks of them in various ways, each time, of course, with a new flavor. It may appear somewhat repetitious, but these truths are certainly worth repeating many times. 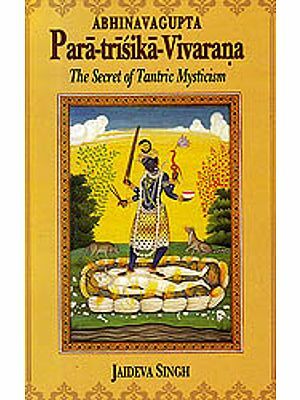 Since there is no other book either in Hindi or English on the true mystic message of Dariya (Dr. Shastri's book, despite his most laborious and sincere efforts, tends to find in Dariya's teaching an amalgamated philosophy of Vaishnvism, Shaivism, Vedanta and Hath Yoga, etc. ), I thought it wise not to abridge the "Selected Poems" section any further. The true mystic message of Dariya comes out most clearly in his own words. A few abbreviations used in this book may be noted here. 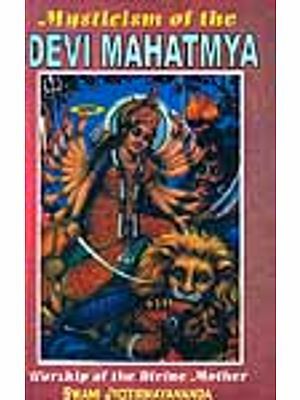 The two published volumes of Dariya Granthavali have been referred to here as "D.G. Vol. I and Vol. II" and the unpublished handwritten manuscripts simply as "M.", preceded, of course by the full title of the book or manuscript referred to. Another point to be borne in mind is that some of the selected poems of the manuscripts have been referred to only by their page numbers while others are by both page numbers and the poem numbers. This is due to the fact that in the case of the former, no poem numbers are given in the manuscript while in the latte, poem numbers are duly contained in the manuscripts. In closing, I must express my gratitude to Professor K.S. Narang, former Vice Chancellor, Punjabi University, Patiala, India, for giving me the privilege to work on this project. To Ms. Diane Gruenstein, Ms. Mayo Harris, Mrs. Helen Silverberg, Mr. Ed Kennedy and his wife Mrs. Margarita Kennedy, all of Hawaii, U.S.A. and to Kamla Samtani of Radha Soami Colony, Beas, India, I am grateful for typing the manuscript in its various stages. My sincere thanks also are due to Mr. David Sanford and his wife Mrs. Norma Sanford for carefully going through the manuscript and making valuable corrections.